1. In some western countries stating that obesity is often considered to be lazy and not have the will . Several studies have revealed that obesity is caused less activities undertaken by the body . People who have excessive weight considers sport is the most difficult thing he did, of course, will exacerbate the level of obesity . 2. 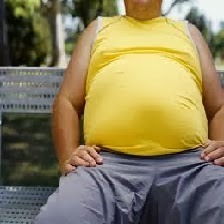 The criteria ideal , ideal weight makes individuals who are obese are less confidence . Almost all the models are very rarely recruited overweight so them ( obese ) felt himself unworthy and lacking in confidence. 3. In general, people think that fat is not attractive. have excessive body weight , is considered inflexible , physically unattractive , and is considered inflexible. This thinking error can still be seen in companies that conduct recruitment process by requesting biographical data on height and weight , or even a color photo . The practice is still a lot of discrimination in Indonesia , they assume that people who are overweight are not able to attract the number of customers or employees which occurs transform the performance of other companies under one roof . 1 . We should be grateful to God for us . We are unique and special creatures that equipped with a noble purpose in life . Precious in God's eyes , believe it. 2 . We must strive to know our strength and our ability to develop thepeak . In other words, we must be the best according to God's creative work in our lives . 3 . We need to fix what is in our lives where we can fix it with build our character according to the direction and teachings which you get according to religious beliefs You . Hopefully any issues you are facing , instead of making you depressed , but let us rise up and live fully in hope . Make God a place you lean because He is your strength that will always meet you with a heart full of joy and peace . Leave your negative thoughts and start to think about whatever is true , whatever is noble , whatever is pure , whatever is lovely , whatever is unpleasant to hear , all that is excellent or praiseworthy .